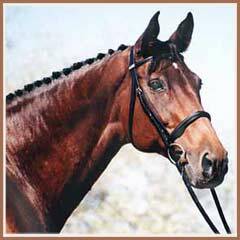 Algebraica was a beautiful Thoroughbred mare that was born and raised in Argentina. She started her career as a race horse and raced in several countries until roughly 6 years of age, when she was sold to FL. 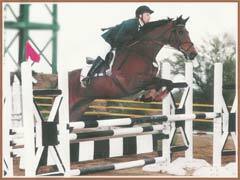 After a short career as a hunter/jumper, Algebraica was shipped to Arizona where she became a successful Eventing partner for her rider and later owner, Laurel Morris. 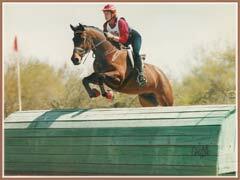 The pair competed through Preliminary level before Algebraica was retired in 2002, at the age of 16. 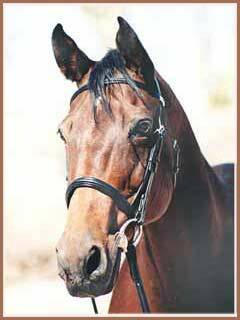 Still sound at 20 years of age, Algebraica had her last foal, an outstanding bay filly, Amara, by the Grand Prix Trakehner stallion Leonidas *Pg* in late March 2006. 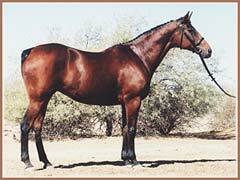 Her only other foal was born in 2003, an athletic gelding by Paramoure. Bred and owned by Laurel Morris, Perrier Jouet will follow in his dam's hoofprints and become Laurel's next telented mount.